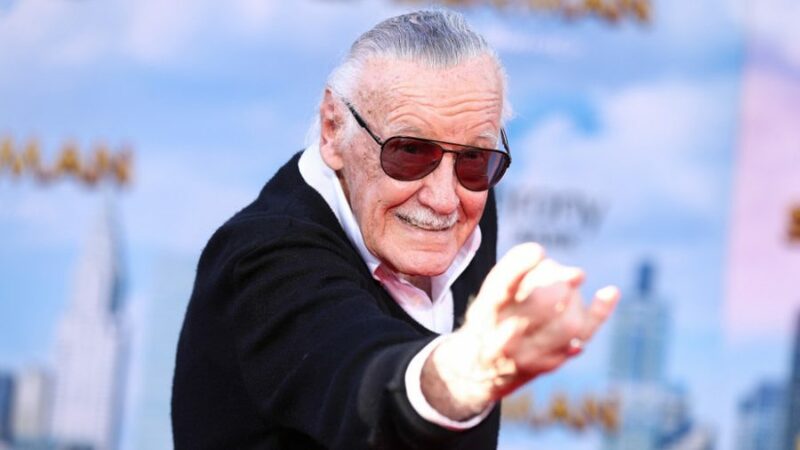 On Nov. 12, 2018, Comic Book Creator Stan Lee passed away at the age of 95. Lee, whose birth name was Stanley Martin Lieber, was born on Dec. 28, 1922 in New York City. In 1939, Lee was an assistant at Timely Comics. In 1942, he joined the United States Army where he repaired telegraph poles as a member of the Signal Corps. In 1947 he married Jane Boocock, and the two remained together until her death in 2017. After his time in the military, Lee decided to get back into comics. Lee changed the name of Timely Comics to Atlas Comic in the 1950’s. In 1961 he changed the name again, this time to Marvel Comics. He started with simple romance, war and horror comics. Lee got tired of writing and editing these stories that were not selling – he wanted to do something more. After a talk with his wife, he created the Fantastic Four in 1961. Lee continued creating superheroes after the success of the Fantastic Four. In 1962, he and co-creators Jack Kirby and Steve Ditko created The Amazing Spider-Man, whose first appearance was in Amazing Fantasy #15. Not only did Marvel Comics quickly become a powerhouse in comic books, but also Stan Lee was a force to be reckoned within the industry. His characters sold millions of books and merchandise. In the 1970’s Marvel saw massive profits as their books were number one for years -all thanks to Stan Lee. Lee also had a hand in creating the first Comic-Con in 1970. Lee was also a rule breaker. In Amazing Spider-Man #96-98, Spider-Man battled the issue of drugs. The message at hand was that drugs are bad. However, the Comic Code Authority did not approve of the books because they were too graphic for a comic book and demanded they not be released. However, Stan Lee released the books anyway, making those three issues the only comics in history without the Comic Code Authority symbol on the top of the cover. Stan Lee set a standard for all creators: to do what they believe in. He is one of the most influential people in the entertainment industry. His characters have made it from one generation to the next. What Stan did for comic books will never be forgotten. He took comic books and made them cool and mainstream. What was normally thought as a nerdy hobby is now a global phenomenon. His characters have impacted millions of people. For the last 10 years, Marvel Studios have released their films. They are probably the biggest movies ever. If it weren’t for Stan Lee, going to the movies would be boring. People cheer when they see their favorite superhero on screen. They cry when their hero dies. Stan Lee’s death is sad. However, he had an amazing life, with even better accomplishments. He created an entire universe – The Marvel Universe. I think he created these heroes so we can have someone to look up to and idolize. We can follow their examples and better ourselves. That is the message he was trying to send.